Prof. Minliang Chen is the director of department of burn and plastic surgery at the Forth Medical Center at Chinese PLA General Hospital. 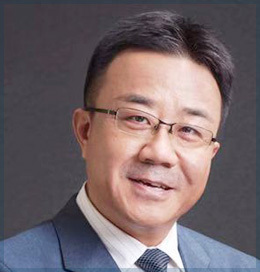 As an experienced plastic surgeon, Prof Chen has held various positions, including a standing member of Chinese Medical Association of Plastic Surgery, the standing director of CAPA and the selected president of CAPA’s Injury Treatment and Rehabilitation Chapter , vice-president of Anti-aging Branch and Fat Medical Branch of CAPA, the committee member of Medical Aesthetics and Cosmetology Surgery Branch of Chinese Medical Association, visiting scholar at UCLA medical center, the standing member of Cosmetic and Plastic Surgeon Branch of Chinese Medical Doctor Association, and the president of Scar Medical Branch, the vice-president of Plastic Surgery Branch committee of Beijing Medical Association, the standing member of The Military Plastic Surgery Committee, the standing member of Medical Aesthetics and Cosmetology Surgery Branch of Beijing Medical Association and other academic positions. Prof. Chen has special interest and expertise in treating all kinds of scars, keloids.